Halloween is right around the corner and I'm sure everyone's busy putting together their costumes. If you want to channel a 1920's flapper girl, you can check out my Daisy Buchanan (The Great Gatsby) post here. For those looking for last minute inspiration, here's a Halloween outfit that you can easily recreate. 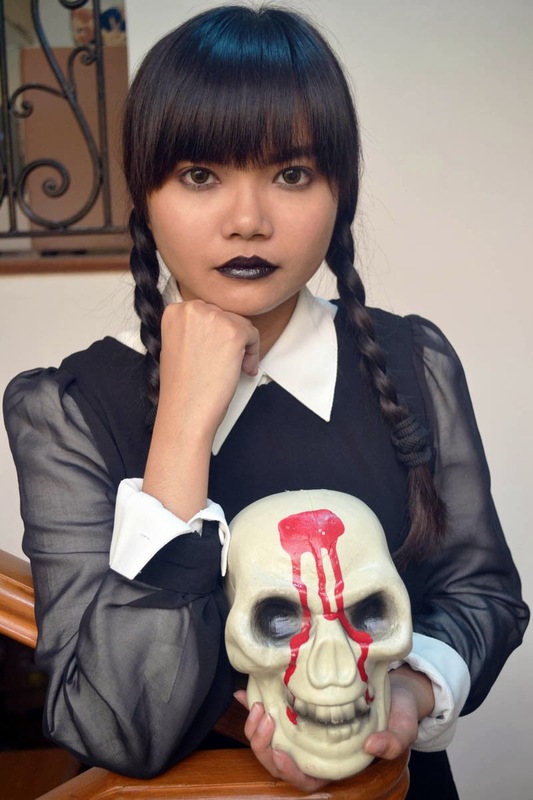 Dressing up as Wednesday Addams has got to be one of the most simple and effortless Halloween costume ideas. You need not make any purchases as everything can be found in your closet. 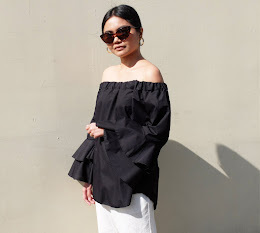 For my Wednesday Addams look, I paired a white dress shirt and wore it under a plain black dress (see how I previously styled this frock here.) Alternatively, if you don't have an LBD, you can wear a monochromatic black long sleeve blouse and a pencil skirt. Don black stockings and loafers to complete her gothic style. For hair and make-up, you can achieve her grim look by braiding your hair, keeping your face pale (you can opt for a light-colored powder or a foundation that's a shade lighter,) wearing dark eye liner and putting on black lipstick. 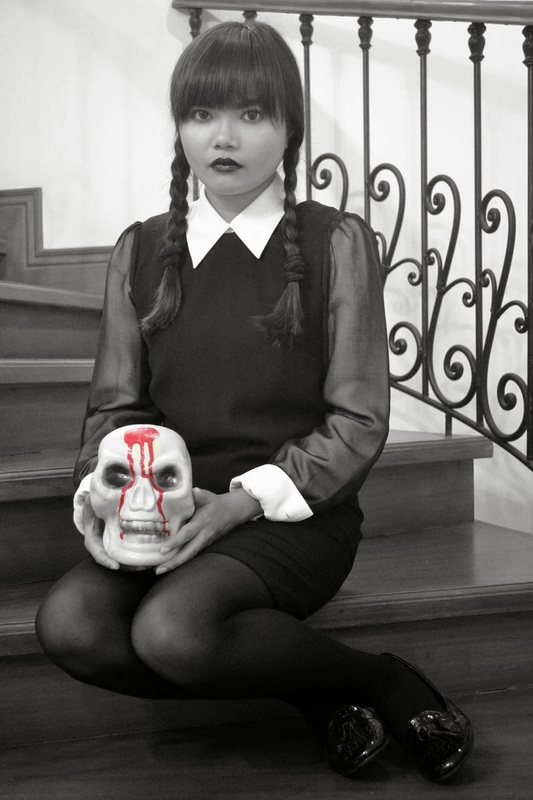 Wednesday seldom smiles so be sure to always stay in character and have that apathetic look.